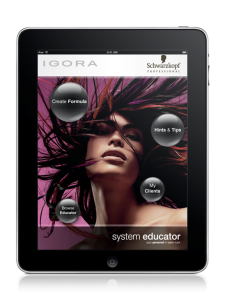 FOR IMMEDIATE RELEASE—October 26, 2010—ANN ARBOR, MI AND CULVER CITY, CA—Logic Solutions, Inc. announced the release of the IGORA Educator iPad application for Schwarzkopf Professional. 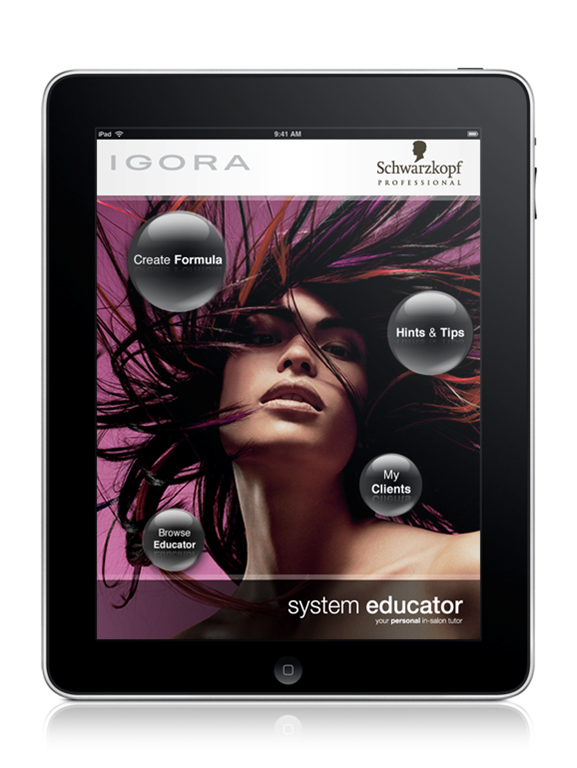 Schwarzkopf teamed with Logic in late July to design and develop a stylish iPad application with improved functionality of their proprietary “System Educator” web application, which provides users access to hundreds of hair color formulas. Intended for use internally by Schwarzkopf’s sales and education teams, and externally by salon stylists, the application not only gives users the ability to retrieve formulas, but they can create and save them with the original “My Clients” function. The app contains four primary functions: Create Formula, My Clients, Hints and Tips, and Browse Educator. Create Formula provides a chic, modern interface with which users select the client’s target color by choosing from the series and shades in Schwarzkopf’s IGORA color line. These options are presented on a unique scrolling arc that moves fluidly and easily beneath a user’s touch. After target color selection, the user then proceeds to white/gray level selection, application type, and natural level hair color, also shown on scrolling arcs. Once a user enters all hair color data, he is provided with the formula to mix the IGORA color products. Unlike imposter applications on the market, each of the hundreds of formulas have been directly tested and approved by Schwarzkopf. The “Hints and Tips” function shows six sections of helpful color application information, including concentrates, color correction, special recommendations, color refreshing, and toner and developer tips. “Browse Educator” allows the user to browse through the graphic versions of the original System Educator pages, with a contemporary page-flipping look and feel, and quick menu access to jump through a section. With the largest single-store iPad purchase on record, Schwarzkopf outfitted each member of their sales and education teams with an iPad, totaling more than 470 devices. The IGORA Educator application for iPad is currently available on the App Store. Schwarzkopf plans to release a version for iPhone before the end of 2010. An innovator in hair care products, Schwarzkopf Professional has been pioneering the development of ground-breaking products for over a century. Schwarzkopf Professional is distributed in more than 100 countries and has global sales over $1 billion annually. Schwarzkopf Professional’s thorough research process involves scientists, dermatologists and hair designers – all of whom contribute to the development of product formulations. The time-tested, technically perfect products which emerge from the laboratories allow salon professionals to proceed with the complete confidence that they will always have the finest quality results. Together we have a passion for hair. For more information please visit http://www.schwarzkopfusa.com.